WWE is moving quickly toward its second biggest show of the year and they brought the stars back into the fold in plenty of time for the buildup. With only three more episodes of RAW before SummerSlam, it was time for two megastars to make their return and build toward the show. 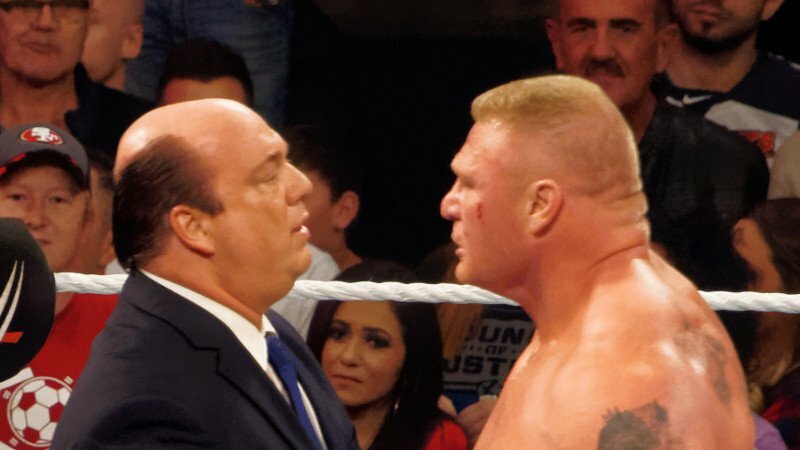 But, despite Brock Lesnar and Round Rousey hitting the ring, Paul Heyman stole the show. Paul E. and his ability to perfectly smirk, boast, whine and beg really took RAW on a rollercoaster ride and The Beast perfectly sold his “I am too good for this place” gimmick. General manager Kurt Angle’s ultimatum to Heyman that Brock appear or the advocate gets fired made for excellent television as Heyman turned on the hustle in an attempt to get his top client to hit the ring and save his job. The quest to make The Conqueror an ultra-heel might not do what it takes to get Roman Reigns over, but it does seem to have added some freshness to a feud that is about to see its third high-profile match in less than five months. Lesnar was not the only high profile return on RAW as Ronda Rousey made her return beside Natalya who wrestled in a match against Alicia Fox with Alexa Bliss at her side. Once again, all of the women’s division is, rightfully, geared toward Rowdy Ronda. This entire segment was crafted just to get Rousey set up for her RAW in-ring debut against Alicia Fox, which will most likely provide Rousey with only her second on screen win in the WWE. Rousey continues to eat up the screen when she is on and continues to be one of the largest pops on every show she appears on. Look around and you can see the ridiculous amount of merch she is selling. I don’t think WWE brass could have possibly wanted anymore than they are getting out of her star power. The rest of RAW was much the same. Buildup for cowardly Kevin Owens against unstoppable Braun Strowman has gotten a little stale. Baron Corbin beat Finn Balor, hopefully invoking a demonic presence for SummerSlam. The tag team division seems a little murky with Matt Hardy’s injury but Titus Worldwide, The Revival and The Authors of Pain add a little more depth than the division has seen on Monday nights in a while.